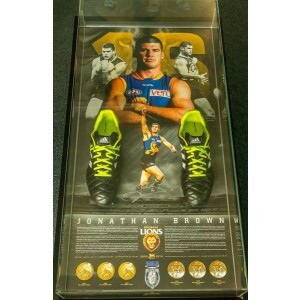 This spectacular framed piece features former Brisbane Lions AFL player, Jonathan Brown along with a pair of boots and his signature. His AFL career started in 2000 and ended in 2014 when he retired. Brown played 256 games and kicked 594 goals.